We would like to pay your attention to the fact that within the Chemistry-2018 exhibition on 31/10/18 at 16:00 in the conference hall of the Expocentre, representatives of FMG Shipping and Forwarding will give presentations on “Thousand kilometers of success, Locomotive and Steamship in Export ", as well as" From China to Russia for 2 weeks: transportation of cargo in accelerated container trains. Advantages, development and perspectives." We will be happy to see you! 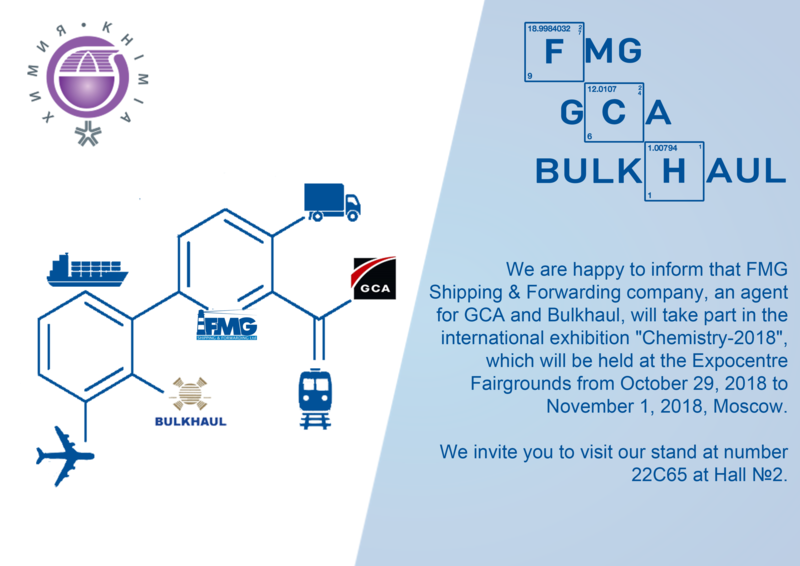 We are glad to inform you that FMG Shipping & Forwarding company will take part in the international exhibition "Chemistry-2018", which will be held at the Expocentre Fairgrounds from 29/10 to 01/11, Moscow. We invite you to visit our stand at number 22С65 at Hall №2. Our company will take participation in 4th Russian-Chinese Forum, named “Business with China”. We'll be glad to invite you there on November, 25-26 in exhibition center “Expocentre”, building #7. Exhibition "Chemistry +" will be held in Moscow's Expocentre from 21 till 24 October, 2014. It devoted to the chemical industry and science. "FMG Shipping and Forwarding" Co. will take participation in this Exhibition. We kindly invite our clients and partners interested in this event to visit our stand, located in 7th building , 4th hall, stand number - 74 B 52. Load of 20 Lorries of Chinese make "Howo". The vessels was loaded using cranes. Port of loading Shanghai. Port of discharge St.Petersburg. The planned period for shipping is summer: 2007.